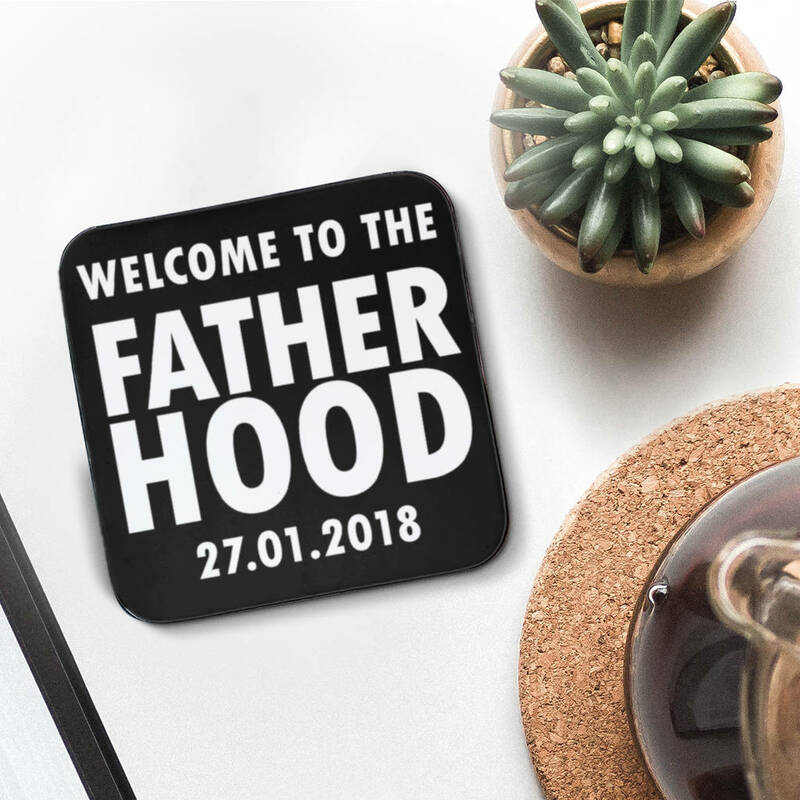 A personalised 'Welcome to the fathehood' coaster, perfect for a new dad. Now he can proudly show off his membership status with his new coaster and enjoy his morning cuppa in style. Emblazoned with 'Welcome to the fatherhood' along with the special date, this is one coaster he'll be proud to use and show off! 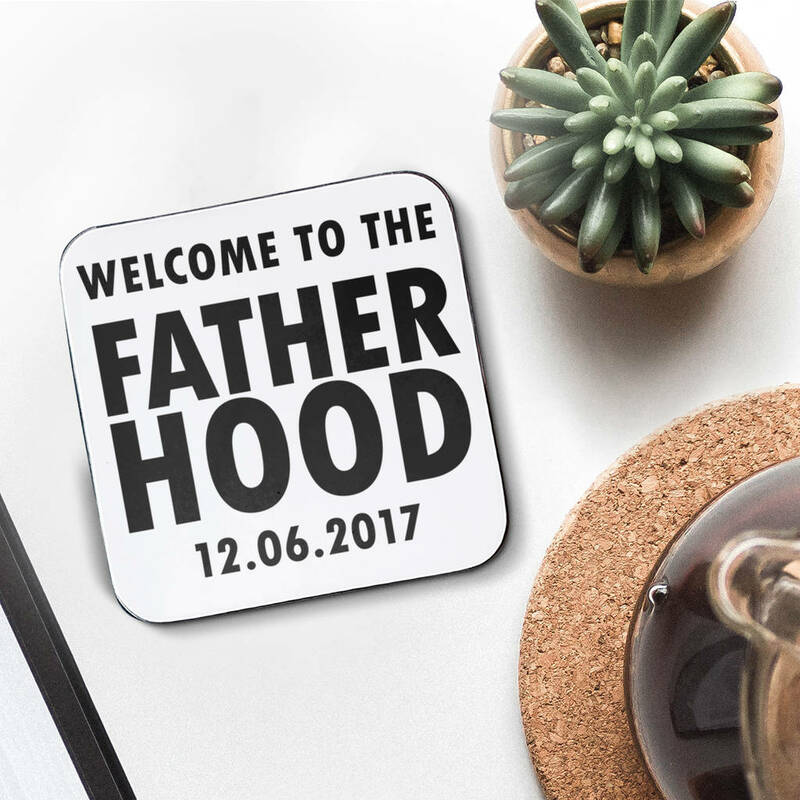 A lovely little gift for any dad, on any occasion from fathers day to birthday to Christmas. High Gloss Laminated Hardboard - suitable for all hot and cold drinks. This product is dispatched to you by The Little Picture Company.